Even if we have crossed all the levels of inequality, being a woman entrepreneur is the most powerful thing for a woman today. For a long time now, women have been showing a lot of contribution in the business space and we have witnessed some of the most powerful ones emerging out like no one else. Today, these women have created such a world where they have their own identity and have proved their worth. Not only women but even men should take inspiration from the ladies that have built themselves and have become the most powerful women in the business world today. Here we have some of the lady entrepreneurs that you must look after for major business inspiration. Mary Barra is the Chairman and CEO of General Motors Company. Talking about her journey, she has held the CEO position since January 15, 2014, and she is the first female CEO of a major global automaker. Now that’s an achievement. 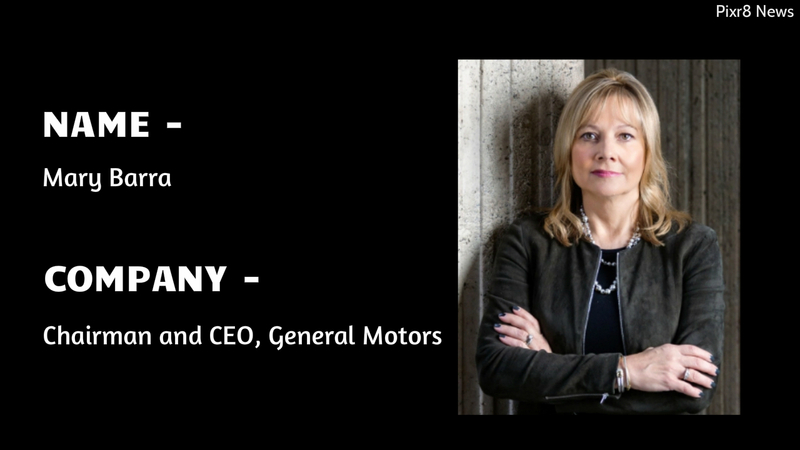 Prior to being the CEO, she served as the Executive Vice President of Global Product Development, Purchasing, and Supply Chain at General Motors. Barra started working when she was only 18. She started as a co-op student at General Motors in 1980 and subsequently held a variety of engineering and administrative positions. Along with these achievements, Barra was listed as one of the world’s most powerful women by Forbes, for the fifth time, in 2016. She was most recently named as the fifth Most Powerful Women, rising from 35th in 2013. The woman who was recently in the headlines, Indra Nooyi is an Indian American business executive who served as the Chairwoman and Chief Executive Officer of PepsiCo which is the second largest food and beverage company in the world. She has been continuously named among the world’s 100 most powerful women. She was ranked at number 13 on the Forbes list of The World’s 100 Most Powerful Women in 2014, and in 2015, she was ranked the 2nd most powerful woman on the Fortune list. Nooyi first began her career in India as product manager positions at Johnson & Johnson and textile firm Mettur Beardsell. 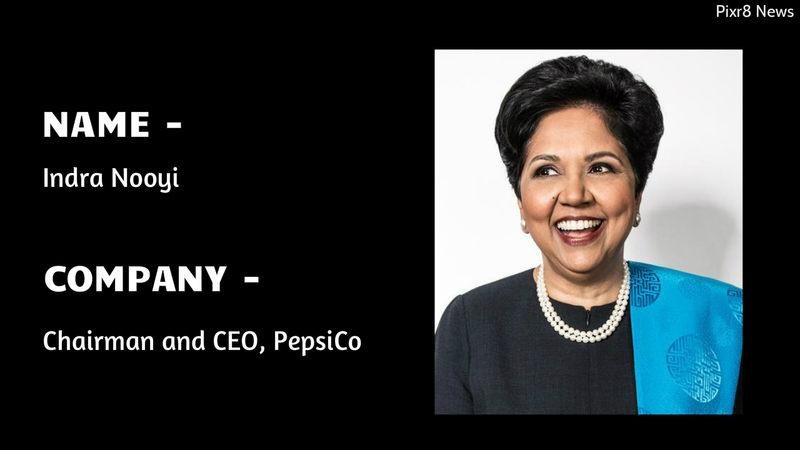 Nooyi joined PepsiCo in 1994 and was named CFO in 2001. Soon after, in 2006, she was named as the President and CEO. 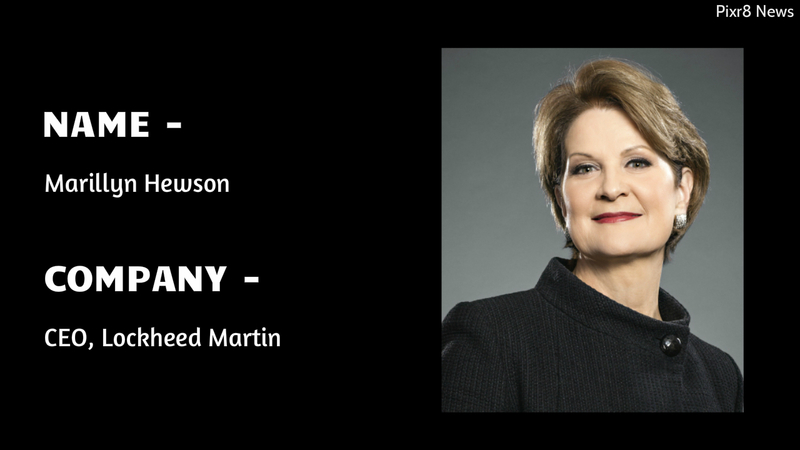 The popular and powerful woman entrepreneur Marillyn Hewson is the chairman, president and chief executive officer of Lockheed Martin. Talking about her journey, Hewson joined Lockheed Martin in 1983. She has held a variety of executive positions with the company, including President and Chief Operating Officer, Executive Vice President and much more. She was named the 20th most powerful woman in the world by Forbes in 2015. In 2014, she was named the 21st most powerful woman in the world by Forbes. She rose one spot to the 20th position in Forbes’2015 ranking. In 2010, 2011, 2012, and 2015 she was named by Fortune magazine as one of the “50 Most Powerful Women in Business”. The lady has been an inspiration for all in the business space and is continuing to be one. 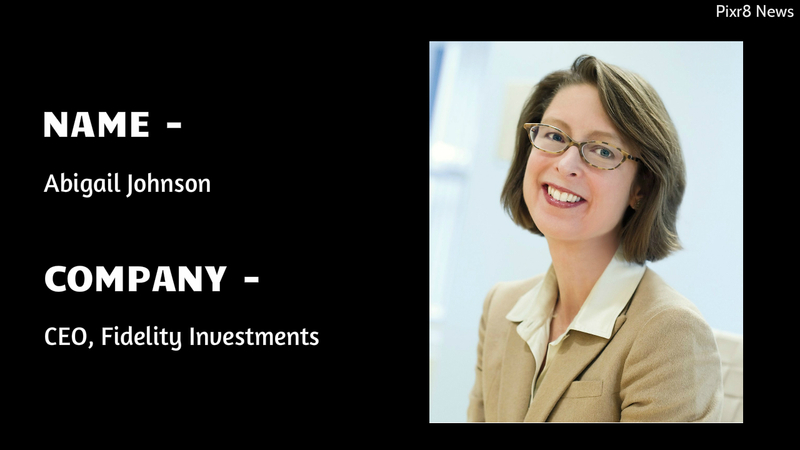 The American businesswoman Abigail Johnson has been president and chief executive officer of US investment firm Fidelity Investments (FMR) and chairman of its international sister company Fidelity International (FIL). She has been very sound in contributing to the success of her company that was founded by her grandfather Edward C. Johnson II. Talking about her net worth, Johnson’s wealth is approximately $16.5 billion, which makes her one of the world’s wealthiest women. Talking about the honors that she has received, Johnson is a member of the Committee on Capital Markets Regulation. She is a member of the board of directors of the Securities Industry and Financial Markets Association (SIFMA). Furthermore, she is the first and only woman to serve on the board of the Financial Services Forum. “Forbes” ranked her as the 16th most powerful woman in the world in 2016, and at the 7th position in 2017. The inspiring lady Sheryl Sandberg is an American technology executive. She is also an activist and author. Most importantly, she is known for being the chief operating officer (COO) of Facebook and founder of Leanin.org. She joined the Facebook board in 2012, becoming the first woman to serve on the company’s board. Prior to joining Facebook as its COO, Sandberg was vice president of global online sales and operations at Google. Talking about other achievements, she was named in the Time 100, an annual list of the most influential people in the world according to Time magazine in 2012. As of June 2015, Sandberg is reported to be worth over US$1 billion, making her one of the richest women in the world. 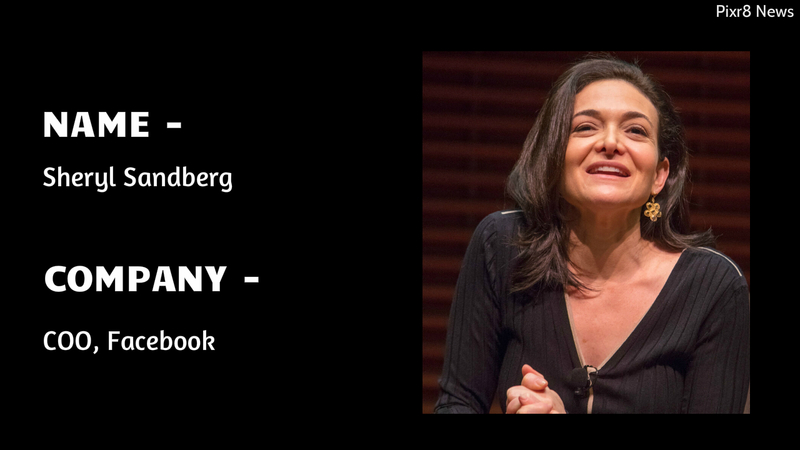 Along with being an entrepreneur, Sandberg released her first book, ‘Lean In: Women, Work, and the Will to Lead’, co-authored by Nell Scovell and published by Knopf on March 11, 2013. Her book is about business leadership and development, issues with the lack of women in government and business leadership positions, and feminism. Sandberg was named in Time 100, an annual list of the 100 most influential people in the world assembled by Time in 2012. Also, she has been listed as one of the world’s 100 most powerful women by Forbes.